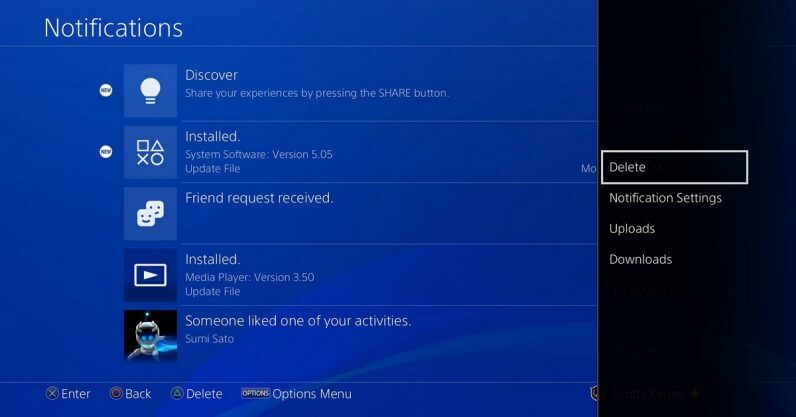 Sony today announced the latest update to the PS4’s firmware is currently in beta. Aside from the usual claptrap about UI clean-up and new tabs and blah blah blah, it revealed that you’ll soon be able to delete old notifications from your menu. Out of all the other things coming to Update 5.50, it’s the notifications I’m most excited about. I prefer to keep things relatively clean, and, with its notifications for everything from tips to updates for games not touched in months, my PS4 can be a thorn in my side. If you’re like me, then, when the update rolls out, you’ll be able to go to the notification screen, bring up the options menu, and delete one or more of the little devils at once. Other updates include the ability to put limits on playtime for your children’s accounts, ensuring they only play a certain amount per day. The update post says the child will be given a notification when they are close to their daily limit, after which they can be automatically logged out if the parent wishes. You can also import new home page backgrounds, stream music while playing PS Now games, and hide games from your list of purchased games. Now if only Sony could give my Vita — which sends me blinking blue notifications that I can’t currently turn off for everything — the same update, we might be getting somewhere.